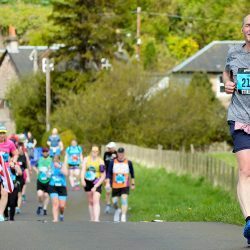 Fresh from becoming the first man to complete a hat-trick of 5000m and 10,000m doubles at successive global championships, Mo Farah will be back on home ground facing a quartet of Kenyan challengers at the Morrisons Great North Run. 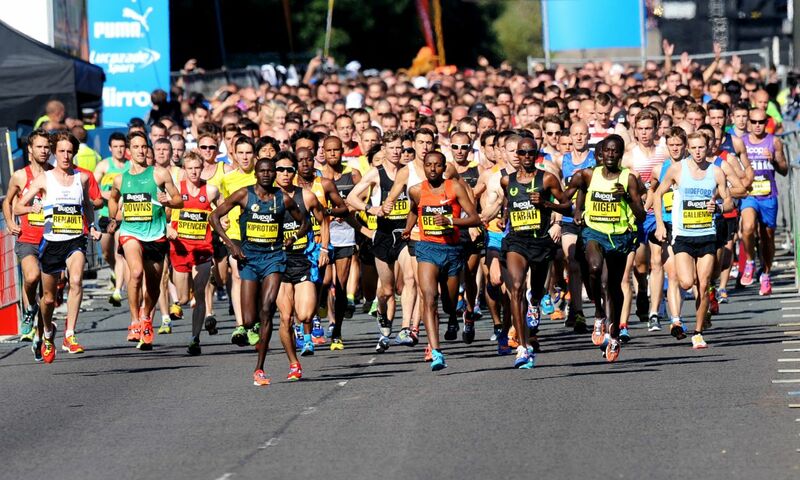 The 35th edition of the world’s biggest half-marathon takes place on Sunday (September 13) and will see both defending champions – Farah and Kenya’s Mary Keitany – in action as a field of 57,000 makes its way from Newcastle upon Tyne to South Shields. 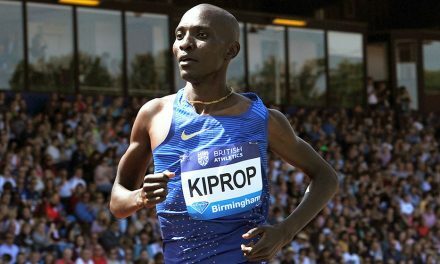 Last year Farah became the first British winner of the men’s race for 29 years when he edged out his sometime Kenyan training partner Mike Kigen, both men crossing the finish line in 60 minutes exactly. In doing so, Farah bridged a gap stretching back to the home success of Salford Harrier Steve Kenyon in 1985. 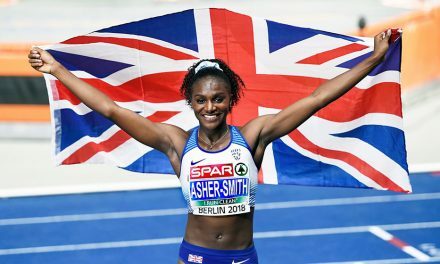 Twelve months on, the reigning world, Olympic and European 5000m and 10,000m champion lines up on Tyneside for a 13.1-mile rematch with Kigen in the IAAF Gold Label event. 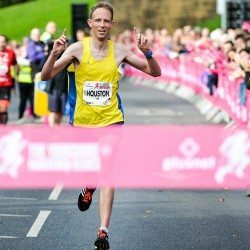 Only one British man has won the Great North Run more than once – Mike McLeod took the first two titles in 1981 and 1982. The only other back-to- back winner of the men’s crown was the late Benson Masya of Kenya in 1991 and 1992. 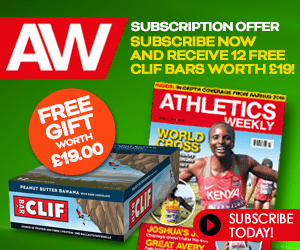 As well as Kigen – and any residual fatigue from his efforts on the track in Beijing – Farah will have to get the better of Stanley Biwott, the Kenyan who leads the 2015 world half-marathon rankings with 59:20 in The Hague in March. Also in the field is Stephen Sambu, the Kenyan who heads the world list at 10km on the roads in 2015 courtesy of his winning time of 27:30 in the Morrisons Great Manchester Run in May. 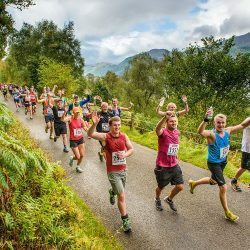 Other international names to look out for include Kenya’s Mark Kiptoo, South Africa’s Stephen Mokoka, Ryan Hall of the US, Mexico’s Juan Luis Barrios, Japanese duo Masato Kikuchi and Suguru Osako, Ugandans Thomas Ayeko and Timothy Toritich and Australians Collis Birmingham and Brett Robinson. Domestic back-up to Farah will be provided by Jonny Mellor, Callum Hawkins and Jonny Hay. Like Farah, Keitany will also be going for a second straight victory in the main event of the Great North weekend. 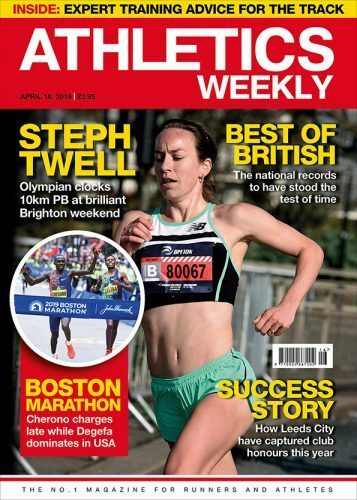 Last year the 33-year-old Kenyan was unstoppable, breaking Paula Radcliffe’s course record by a second with 65:39. This year she faces the likes of Gemma Steel, who again leads the home challenge. 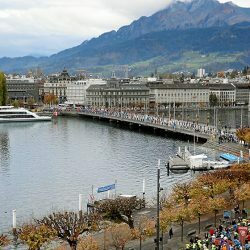 The European cross-country champion was an impressive runner-up to Keitany last year in 68:13 and will be looking for another top-three finish. 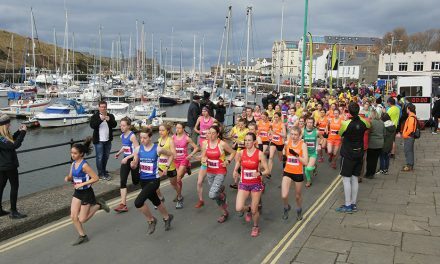 Local runner Alyson Dixon is also in the field following her 10km PB of 32:17 last weekend, together with Ethiopians Birhane Dibaba and Atsede Baysa, Kenya’s Doris Changeiywo, Latvia’s Jelena Prokopcuka, Americans Sara Hall and Adrianna Nelson and Japan’s Reina Iwade. Six-time Paralympic gold medallist David Weir will have his sights on a record-equalling sixth victory in the men’s wheelchair section and will face international opposition in the shape of Australian Richard Colman, winner of the T53 800m at the 2004 and 2012 Paralympics, and Canadian Josh Cassidy, the 2010 London Marathon champion. 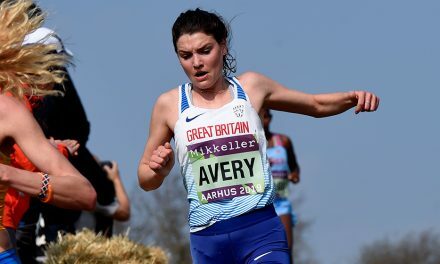 American Amanda McGrory, who holds the women’s course record, will be in the women’s wheelchair field alongside the likes of 19-year-old Teessider Jade Jones, the T54 Commonwealth 1500m bronze medallist.